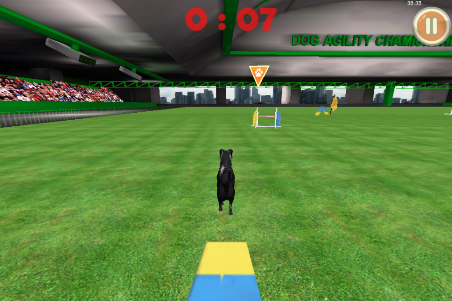 Play the internationally popular sport of dog agility on your iPhone, iPad, iPod, or Android device. 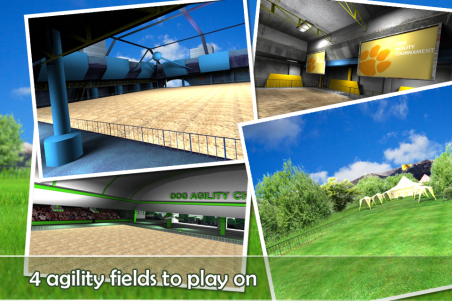 In Dog Agility 3D you maneuver your dog through four different types of agility courses using the tilt control functionality of your device in pursuit of Qualifying Runs and Agility Titles. 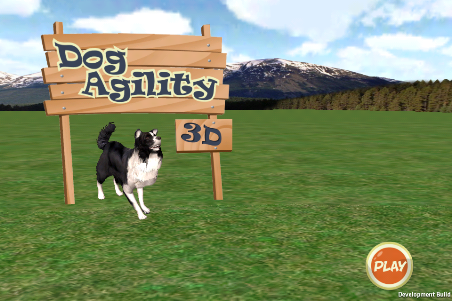 Dog agility enthusiasts, dog lovers and action game lovers alike will get hours of entertainment from Dog Agility 3D! 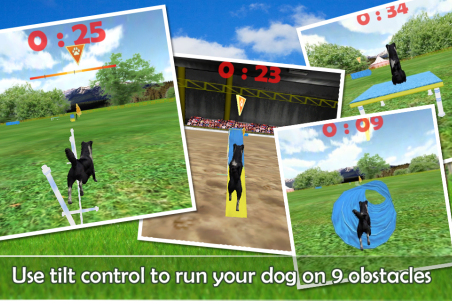 ~Dynamic 3D action with 360 degree panning as your dog maneuvers through courses. ~Three levels of difficulty: Starters, Advanced and Masters. 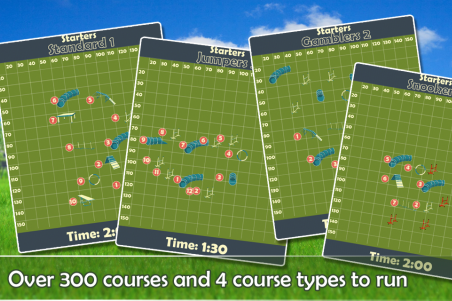 ~Four challenging course types: Standard, Jumpers, Gamblers and Snooker. 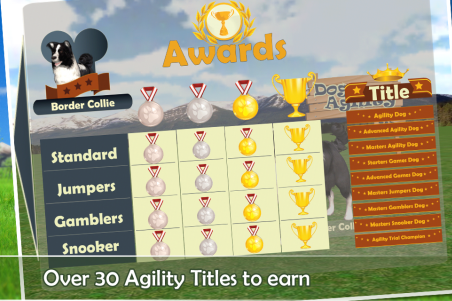 ~Earn 30 Agility Titles as you complete courses and Qualifying Runs. 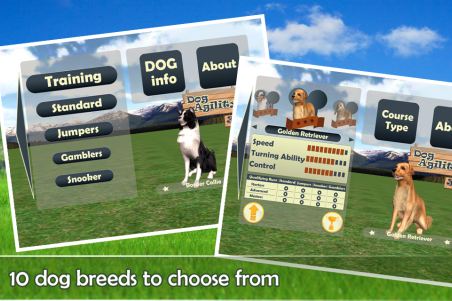 ~Ten dog breeds to chose from, each with different characteristics like Speed, Control and Turning Ability. 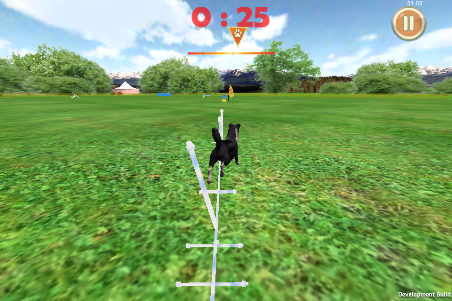 ~Nine agility obstacles to test your skill. ~340 courses to run including 60 Masters level courses in each course type. 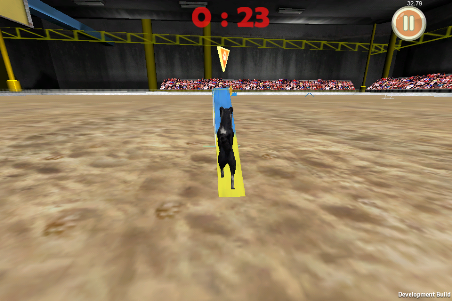 ~Facebook integration so you can brag about your agility accomplishments. 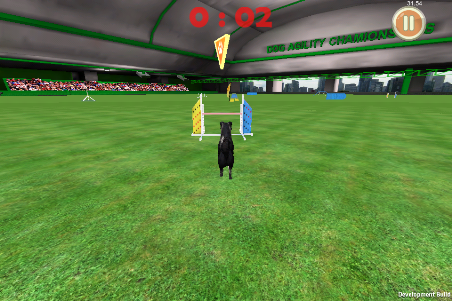 Copyright 2012, Dog Sport Apps Inc.